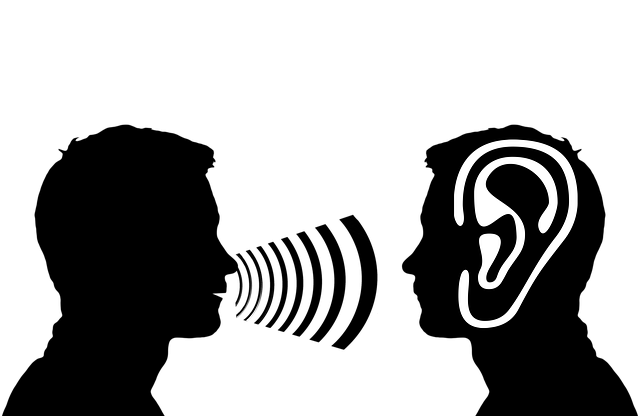 Practical advice | I'm hard of hearing, so what? Practical advice – I'm hard of hearing, so what? For all those who are open to it, there are endless solutions, practical tips and instructions. It only depends on how you take them in, process them and mix them into a useful tool for yourself. The most important thing is that you know exactly what you can and cannot do well. Insight into your own qualities and skills is therefore important. Every deaf and hearing impaired person is unique and therefore it is difficult to give standard tips. Below you can read some tips which might be useful. The tips published here are important in communication for everyone, whether they are hearing impaired or normal hearing. Always have appointments, private, business or medical, confirmed in writing. A date or time is quickly misunderstood. Room acoustics can interfere with speech understanding. Low ceilings, carpets, curtains, partitions and other wall coverings are sound-absorbing. If necessary, in any situation, whether at home, with friends, when going out or at work, ask if the background music can be turned softer or even completely off. Always bear in mind that a quiet conversation environment also improves communication for people with good hearing. If you are in a group, explain to the group members and teacher or trainer what is important for you to understand the conversations. At group events, choose a place where you can see the faces of the participants or speakers. Explain why you need this place. Speak clearly, not too loudly and at a quiet pace. If you talk too fast or too loudly, your conversation partner will not understand you. Keep eye contact and make sure your face is always clearly visible, so the person you are talking to can read off your lips. Show through facial expression and body language that you are listening. Use short, clear phrases in a conversation that are easier to read from the lips. If you are distracted or suddenly leave the conversation, tell your conversation partner. Your conversation partner is focused on the conversation and therefore does not understand why you turn away. If you change the subject of your conversation, tell your conversation partner so that he or she understands the context. When you wear a face mask, then free up your lips when you talk. Do not hold your hand in front of your mouth while talking so that the person you are talking to can read your lips. In group conversations or discussions, make sure that everybody is talking one by one. In group conversations, you can also make clear who is starting to talk, for example by raising your hand briefly. This also strengthens conversation discipline. To attract attention, make eye contact, tap the arm or shoulder of a person with hearing impairment, stamp the floor with one foot or turn the light on and off. These signals are visible and or noticeable. Never approach a person with a hearing impairment from behind. He or she will not hear you and will get startled. Approach a person with a hearing impairment from the front so that you are visible and can make eye contact.